On Saturday April 5th at 18:00, the Thonon les Bains Black Panthers hosted the Bergamo Lions during the 2nd weekend of competition in the 2008 edition of the Eurobowl championship. 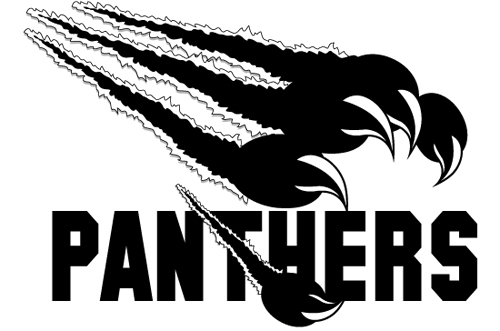 It is the first time that Thonon Black Panthers, the defending French Vice-Champion, is participating in an european EFAF competition. Till halftime the game was close and the chance for the victory was in the hands of the team from Thonon-Les-Bains, a city with about 35.000 inhabitants on the french bank of Lac Geneve. But in second half the more experienced team from Italy won the third quarter and the game. The Lions scored first thanks largely to the efforts of their american runningback AnthonyStallings. Thonon took little time responding, as halfback Jonathan Perrolaz scored on a 59 yards ramble on the Panthers very first play from scrimmage to even the score 7-7. The teams traded two more majors before halftime as both offenses dominated play; two failed PATs accounted for the two point differential as the Thonon squad led 21-19 going into the locker room. Second-half play once again largely favored both offenses, but a costly Thonon fumble inside the Lions' 10 yard line turned the tide for good in favor of the visiting Bergamo squad who immediately drove some 90 yards to take a more comfortable 11 point lead into the fourth quarter. The final period saw the Lions solidify their hold on the game with a long touchdown strike from quarterback KendrickDozier to Slotback MarcoPodavitte; with just over 8 minutes left to play the score stood at 21-39 in favor of the Italian champions. The Panthers managed to keep their hopes alive with a scoring pass of their own, an 18 yard strike from SeanPfalzer to runningback DimitriKearnan; a failed two-point conversion saw them trail by 12 points with a little under three minutes remaining. Bergamo's recovery of the ensuing onside kick attempt sealed a 27-39 victory in their first Eurobowl contest of 2008. The Lions will next host the Barcelona Pioners in two weeks time - with the winner advancing to the Eurobowl quarterfinals.